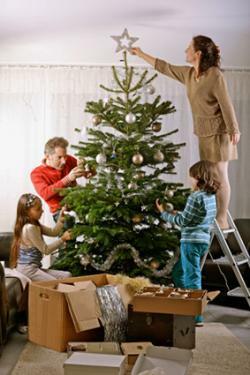 Christmas is the most special time of year, a time filled with celebrations and traditions. Holiday poems can bring a smile to a child's face, so share a few and enjoy. Christmas means many things to many people. These poems will entertain children and perhaps even give them some food for thought. To tell him I've been oh-so-good. And done all the things I should. Like doing my homework after school. Where I broke the Golden Rule. 'Cause I was playing ball inside. So I ran away to hide. I also yanked my sister's pig tails. I pulled them so hard she cried. Although a couple times I snuck outside. But, Santa, I swear that I've tried. Next year I'll get on your good side. And I'm excited to see it's addressed to me. I want to eat you so. And she firmly told me no. But Mom says you'll spoil my appetite. But I know that wouldn't be right. After I slide you back out of my sleeve. Round to watch you sleep. And gazed upon your precious face. To show us His never ending love. When we flip the switch each night. Let it fill us with delight. Like 1st Christmas ornaments and such. That truly mean so much. To add a bit more sparkle. So the tree will look more artful. Putting the star on top of the tree. Each heart with so much glee. That we'll enjoy all season through. That's the way that it will always stay. The following books offer a wonderful variety of holiday poetry that covers the gamut from humorous to spiritual and everything in between. Undoubtedly, 'Twas the Night Before Christmas by Clement C. Moore is one of the best-loved Christmas poems of all time. This tale of a father's chance sighting of Santa making a stop at his house has thrilled children for generations, and reading it at bedtime on Christmas Eve has become a tradition for many families. 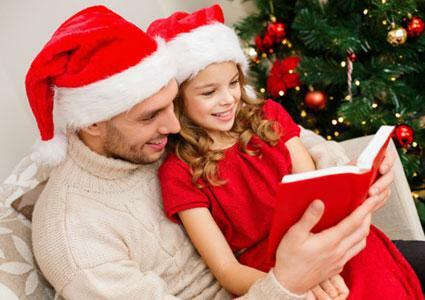 Christmas Poems for Kids by Jason Lewis contains five poems on topics like Christmas presents, Santa, snowmen, and more. The book is available in paperback and might make a nice stocking stuffer for any child who loves to read. Christmas Poems by Jill Bennett is a colorful book with bright illustrations and entertaining poems that children will love. 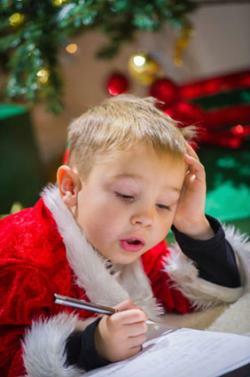 Sample poem topics include angels, reindeer and Santa, and information about how Christmas is celebrated around the world is also included. Amazing Peace: A Christmas Poem by Maya Angelou is an inspirational piece that brings people of different races and religions together to celebrate the peaceful message of the season. The book also comes with a CD of Maya Angelou reading the poem aloud. 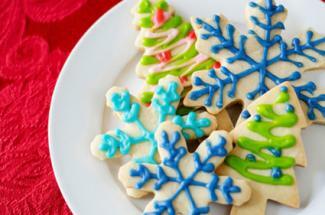 So many Christmas traditions abound that you might not think there's room for one more. However, there's still a moment or two to tuck in a bit of poetry reading for the kids and make the season a little brighter. Give it a try.